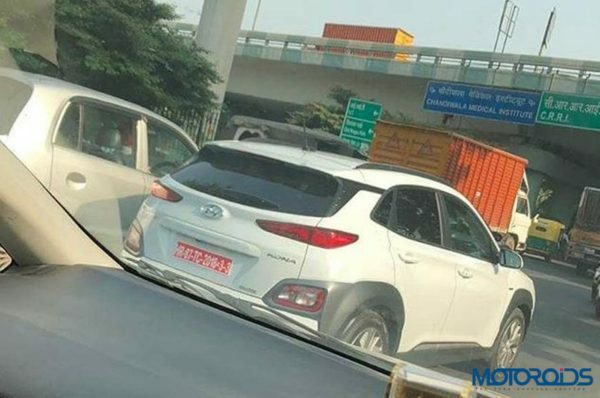 After revealing in advance that the Kona will be their first fully electric SUV in India, Hyundai has been spied testing the Kona that is set to launch by mid-2019. The Kona EV is available with two battery options in international markets, a 39kW battery and a 64kW battery. The smaller 39kW battery has a claimed range of 312 kms on a single charge, while the bigger 64kW has a claimed range of 482 kms on a single charge. 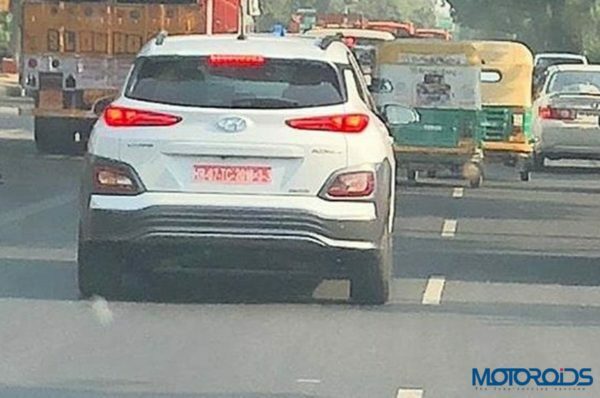 That being said Hyundai India is expected to bring us the 39kW battery option that generates 136 bhp and 395 Nm of torque, Hyundai claims it will do 0-100 km/hr in under 9.7 seconds and can do a top speed of 155 km/hr. With the use of a 100kW DC fast charger, the Kona’s lithium-ion battery can be charged up to 80% within just 54 mins, while the same process will take up to 6 hours and 10 minutes with the use of a standard AC source. The Kona EV gets 17-inch alloy wheels, no exhaust pipes and a closed front grille thanks to its electric motor. Hyundai claims that the addition of a battery pack hasn’t compromised the interior space thanks to the clever integration into the SUV’s platform. However, the charging cable in the rear has reduced the overall boot capacity from 373-litres to 332 litres. On the inside, the Kona features a 7.0-inch infotainment screen and a heads-up display, the front seats are eight-way adjustable while also being ventilated and heated. Safety features include a lane centring system, automatic emergency braking (AEB), cross traffic alerts and an adaptive cruise control feature, though it hasn’t been confirmed if all of these features will make it to India. 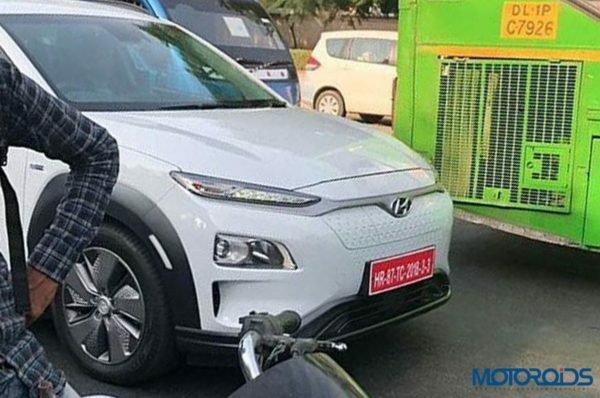 Hyundai India has set an estimated target of 50 to 60 units per month, which goes to say that the Kona EV is supposed to be more of a technological statement rather than a mass market product. 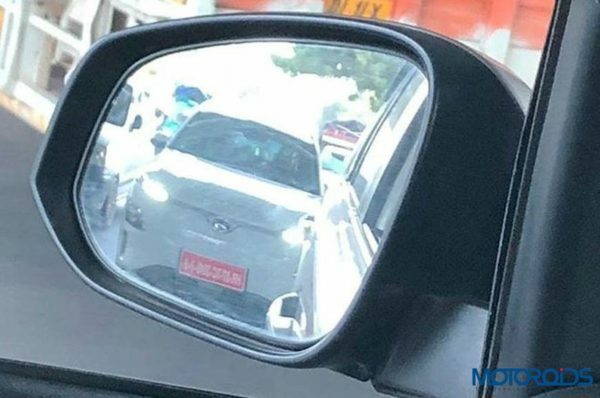 However, Hyundai does plan to have the Kona EV locally assembled which should allow them to keep the price around the Rs. 25 lakh range.